« Homepage / Gourmet / "The Spirit of La Fonda: Margarita madness in Lafayette"
Wheeling and dealing over lunch and enchiladas is the hallmark of La Fonda’s in Lafayette, where margaritas and two-fisted cocktails enhance the handshakes of money makers. Tuesday, Wednesday, and Thursday in the early evening is another crowd, with children and grandparents in tow. Friday and Saturday nights bring a crush of people awaiting tables at the bar (the record is somewhere around 100 gallons of margaritas served daily). The Mexican restaurant has an awesome reputation as a gathering spot. Defying the local loyalty to Cajun cuisine, the popularity of the restaurant’s classic Tex-Mex fare is a puzzling phenomenon. The noise level is often raucous. This is the kind of place that feels like Galatoire’s on a Friday afternoon (instead of champagne, it is margaritas). People know each other at different tables, and if they don’t, they get to know each other, especially while waiting for tables at the bar. Call it timing. A half a century ago, Cox received a telegram while working for Petty Geophysical Engineering Company in Tulsa telling him to go to Lafayette to work vacation relief. Several weeks later, Lafayette would become his new home. In 1957, there were no Mexican restaurants in Lafayette (just restaurants serving Mexican specials on select nights), and a large percentage of the oil and gas professionals working in the oil center were from Texas, where they were raised on Mexican food. Cox recognized the demand for Mexican food, so he quit his job and bought the defunct Manor Steak House on Johnston Street. He had met a Mexican cook on one of the quarter boats, Mike Martinez, who wanted to work for him, and La Fonda got off to an authentic start. Seven years later, Cox decided to move a half-mile down Johnston Street to lease space in a strip shopping center where he added tables and a bar—here, the magic was born. His margaritas had already become famous, and when he decided to introduce frozen margaritas, the craze accelerated into margarita madness. In the height of Margaritaville at La Fonda’s in the 1970s, 100 liters were being dispensed daily. Business began to boom. 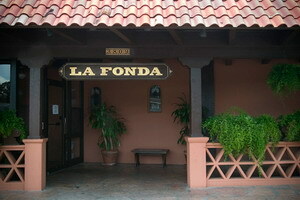 The mood, the margaritas, the menu, and the memories have all made La Fonda’s what it is today. It is this spirit of camaraderie that has set the standard for many other good places in Lafayette where people can meet, greet, and eat. In the bar, Cox had an artist do a mural of longtime patrons. Some complained they did not make the cut to be in the mural. 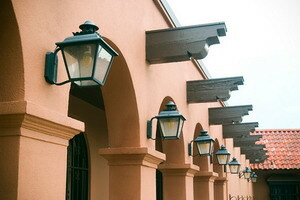 Loving La Fonda’s is all a state of mind. 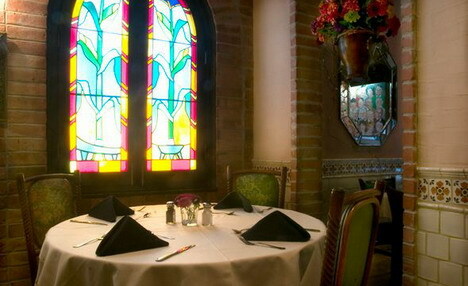 Today, you can walk in and see three generations of La Fonda regulars sitting together at a table. And it is a good bet that they know regulars at the other tables. You always start with margaritas and chips. Popular appetizer choices include bite-size pieces of fried rabbit garnished with guacamole and sour cream, and of course the nachos. Enchiladas, tostadas, chili relleno, and fajitas are served alongside hefty steaks, grilled shrimp and tuna steaks, chops, and a first-rate eggplant casserole baked in a Spanish sauce, topped with Monterey cheese, and garnished with guacamole as a Tex-Mex interpretation of a Cajun classic. 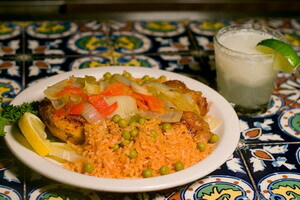 The most popular chicken dish is the chicken tapatio, broiled and deboned, and topped with pimentos, onions, and peppers, served with Spanish rice. Try this at home—break out the chips and guacamole and mix up a batch of margaritas while you are at it. Here you can write a comment to the post "The Spirit of La Fonda: Margarita madness in Lafayette"